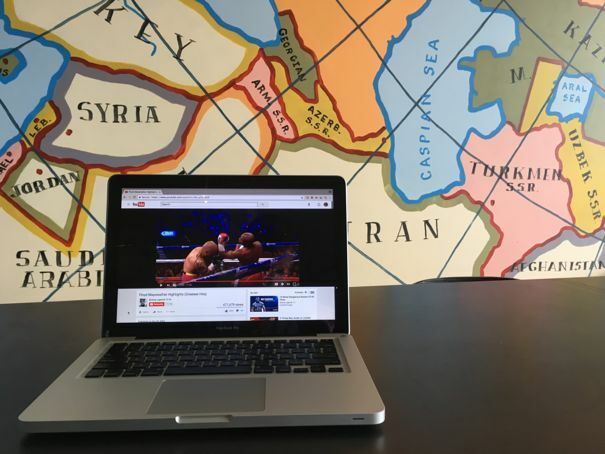 I’m at a coffee shop watching boxing videos. It’s one of those things where I have no idea how I ended up here. But I can’t stop watching because the sport is so simple and raw and I like that. I go further down the rabbit hole and start reading articles about boxing. I learn Floyd Mayweather keeps $123 million in his savings account. Yes, a savings account. Now I’m wondering if he keeps his $123 million in a savings account because when you’re rich investing doesn’t matter. So I’m googling if he invests but find his Instagram and it’s a fascinating glimpse into his spending. Okay. This means he’s generating at least $12 million a year from his investments and it could be around $100 million. And I start feeling better because so many professional athletes work, get money, spend money, work, get money, spend money, and when they stop working go broke. I think we can all relate to this cycle. Because in my 20s I was buying a BMW, living in a fancy condo, and flying airplanes for fun. I was working, getting money, spending money, and working again because I had to pay for all that stuff. Most people will do this their entire life. But what if they changed their mindset so instead of working to spend all their money, they were working to save, and saving to invest, so they could stop working? Well, that’s what financial freedom is. And it doesn’t matter if you’re not rich. What matters is the relationship between your numbers. For example, you can make $100,000 a year, spend $100,000 a year, and have nothing to show for it like 46% of adults who can’t come up with $400. Or you can make $75,000 a year, spend $50,000, and save $25,000. In my 20s it was nice buying nice stuff because I never had nice stuff before. But now that I’m in my 30s I’m starting to think the nice stuff was mostly about external validation. And it’s hard to see this because we’re all trained to want external validation. I mean as kids that’s what school grades are about. When I stopped measuring myself against other people and decided what was most important to me was having enough money to walk away then everything just fell into place. I was measuring myself against what I cared about and my behavior started aligning with my goals. My numbers got better. Now, you might love your job and can’t imagine not doing it forever. But you still need financial freedom you just need it later in life like when you’re in your 60s and you have to quit. Retirement is the same thing as financial freedom. So if you decide you need to be saving and investing you should know it’s okay if you’re starting out with small amounts. You can start with $50 or $100 a month because what’s more important is building the habit. And that saved money? Sure, you can keep it in a savings account. The very best savings accounts grow your money at 1% so if you’re saving $50 a month in an account that pays 1% then after 30 years you’ll have $21,292. And the data backs that up. Because from 1871 to 2016 the annual return of the S&P 500 adjusted for inflation is 6.88%. You might be worried about losing money when you invest. Yes, you will lose money. Because on average the market goes down by 10% every 11 months, 20% every four years, and 30% every decade. Investing isn’t a straight line, instead it looks like this. That’s the market over the last five years. And do you see all those dips? You’re losing money all the time. But if you can deal with the short-term volatility you’ll be rewarded over the long term. Because if you invest the same $50 a month after 30 years you’ll have $81,185. The difference between 1% and 7% can change your life, and that’s why investing is so important. If you want financial freedom it’s not about working harder, or smarter, or longer. It’s about making the shift from working for money to having your money work for you, and you can’t do that by saving, you have to invest.